Platinum Mag13 is durable and reliable. 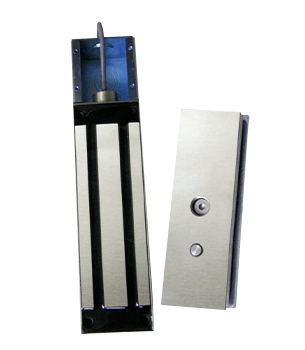 It is well suited for any outdoor, or indoor application requiring a magnetic lock. The removable mounting bracket makes installation a breeze. Additionally, the attachment junction box allows for direct connection to conduit and safe place to make electrical connections. The Mag13 comes with a highly competitive 2-year limited warranty, expert technical support, and installation assistance by phone.